In western Peloponnese, in the beautiful valley of the Alpheios river lays the most celebrated sanctuary of ancient Greece. Dedicated to Zeus, the father of the gods, it sprawls over the southwest foot of Mount Kronios, at the confluence of the Alpheios and the Kladeos rivers, in a lush, green landscape. 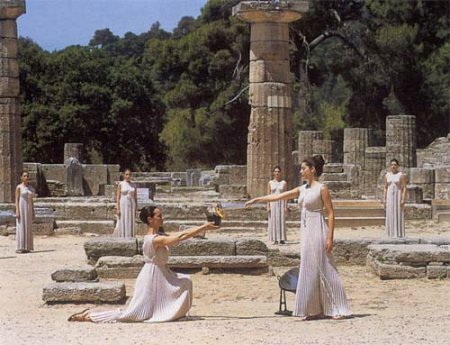 Although secluded near the west coast of the Peloponnese, Olympia became the most important religious and athletic centre in Greece. Its fame rests upon the Olympic Games, the greatest national festival and a highly prestigious one world-wide, which was held every four years to honor Zeus.